This piece – which I absolutely love – is by Fara who has a long relationship with my Beloved – Jollof. Girl meets Jollof is her story, and I’m reminded about how food shapes us, comforts us, uplifts and nourishes us. Before there were Jollof Wars and way before there was a World Jollof Day, there was simply Jollof rice – a delicacy that became culturally and politically relevant, a cause to rally around, a melting pot for various West African countries to showcase their individual takes on a staple that is believed to have originated in the kitchens of some Wolof or Jolof chef. Before it was any of these things, Jollof rice represented something much more personal and important to me. It was one of my earliest memories of representation in a work of fiction. One was the fact that at this point, I hadn’t read enough African literature. I can say that this book and Eze goes to school, marked the beginning of my foray into African literature. I went to a British-run primary school so I had access to a lot of books as a child but not a lot of those books were by African authors. That was to change with time. To the school’s credit, they had us read books by African authors as soon as we began Literature in primary four. We also had a lot of African history split between Geography lessons (which I really hated) and Social Studies. It was during these I would first hear the Wolof mentioned as one the West African tribes of repute. and tell my friends that I, not my mum, had made this batch. Many years later, I was to see this meal mentioned in Chimamanda Adichie’s Purple Hibiscus. It took me back to being a young girl who realized that there were characters who ate the same food as I did. Ms Adichie is now world famous and I’ve listened to her say several times how representation is important and how they shaped the kind of stories she writes now. It wasn’t until The Kitchen Butterfly (bless her soul) put up a picture with two of the aforementioned novels & Americanah that I realized how powerful reading about Jollof rice had been. Jollof has meant many things to me at different points in my life. I took a walk down memory lane and remembered how Jollof rice had gone from a Sunday, family tradition to a mother-daughter bonding experience. It later became the meal for which I was known in my friendship circles while at university. It was the first meal I would make for my first German friend and a host of other non-African friends. It always ended up being a hit even in spite of the considerable spiciness of my version of the dish. It was the meal I would teach a few friends to make because they always seemed to like my version. It was the meal I would make as a ‘’thank you’’ for my only friend in Vienna when I lived there for five weeks. I had traded the traditional parboiled rice for Basmati rice and my friend of mixed Austrian and Ghanaian heritage had sworn that I had created Ghanaian Jollof for him. He wouldn’t stop talking about it. He was home-sick at the time and I could see how grateful he was for a taste of home. Don’t tell anybody I said the only difference between Nigerian and Ghanaian Jollof is the type of rice used because I will deny it. I’ve had several years to play with my version of Jollof rice. I’ve tried everything from soaking the raw rice in the stock prior to cooking, to using tomato puree and Hungarian Lesco as my base. Lecsó (English: Lecho, /ˈlɛtʃoʊ/ LETCH-oh; Hungarian: lecsó, [ˈlɛtʃoː]; Czech and Slovak: lečo; German: Letscho; Polish: leczo; Russian: лечо) is a Hungarian thick vegetable ragout or stew which features explicitly yellow pointed peppers, tomato, onion, salt, and ground sweet and/or hot paprika as a base recipe. 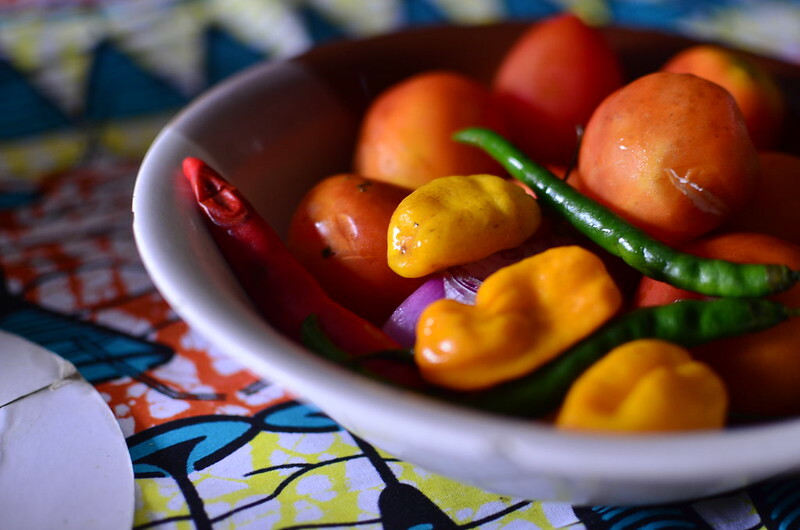 The onions and peppers are usually sauteed in lard, bacon fat or sunflower oil. Garlic can also be a traditional ingredient. It is also considered to be traditional food in Czech, Slovak and Croatian cuisine and is also very common in Poland, Austria, and Israel. I’ve even added margarine to make it creamier. In more recent times, I’ve begun using brown rice to make my Jollof. Guess what? It’s still a hit. The only thing I haven’t done and will never condone is parboiling the rice before adding it into the sauce. That is some sort of infantilism at the worst and laziness at best. (No offense intended) Jollof requires dedication and some level of perfection to it. I also frown at adding peas and carrots to it – do it right or not at all. Ignore the last two sentences if you like – it’s my very own opinion. As we celebrate World Jollof day (every day :)), I’ve gone from wondering why the hell we have such a day to being reminded about what Jollof rice means and signifies to me. It’s a whole category of memories in my memory palace. It is versatile and forgiving of tweaks and experimentation. It is a staple yet exotic dish. It has the ability to be many things at the same time. 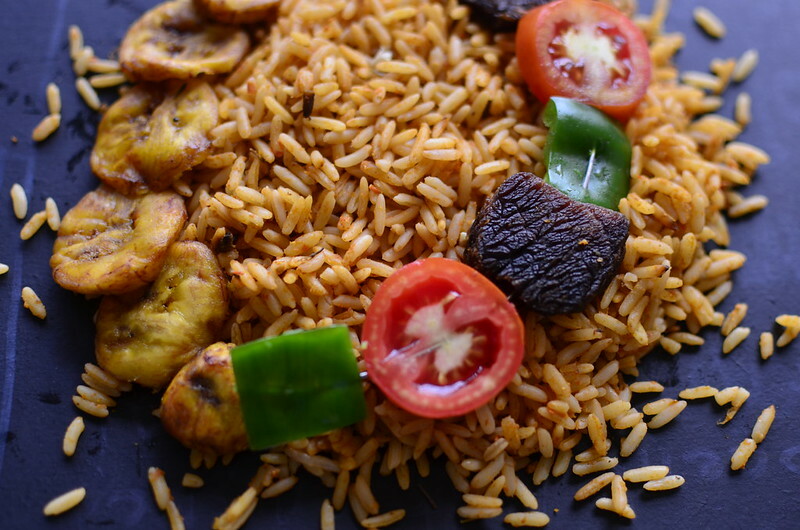 Simply put, Jollof is more than a meal. To me, it’s a movement. It is Nigeria, Ghana, Senegal, Gambia, Liberia and West-Africa as a whole introducing itself to the world on the best note possible all the while, evoking different emotions, memories and experiences in people from different parts of the globe. 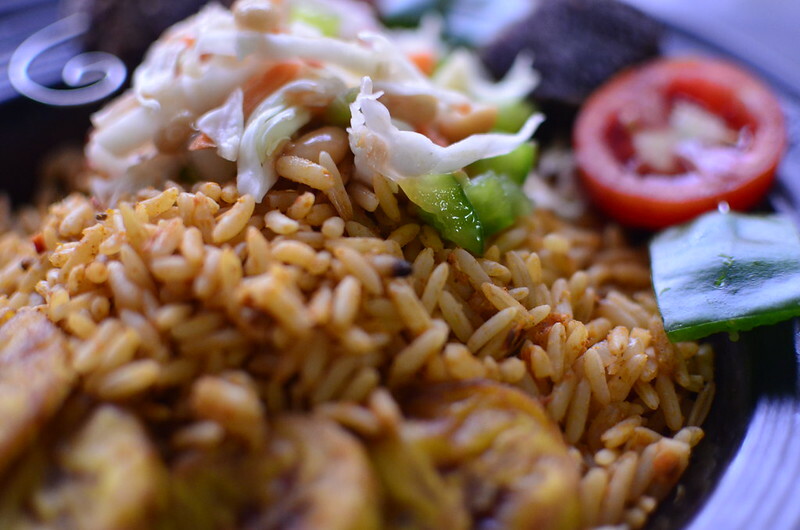 Happy World Jollof Day y’all – because everyday is World Jollof Rice Day. Fara is really big on intimacy with Jesus. Hates religion. Medical doctor who writes poetry & sometimes performs Spoken Word. I love food & don’t like cooking except to feed people I love. I’m curious and ask loads of questions. Connect with her on Twitter and check out her blog.